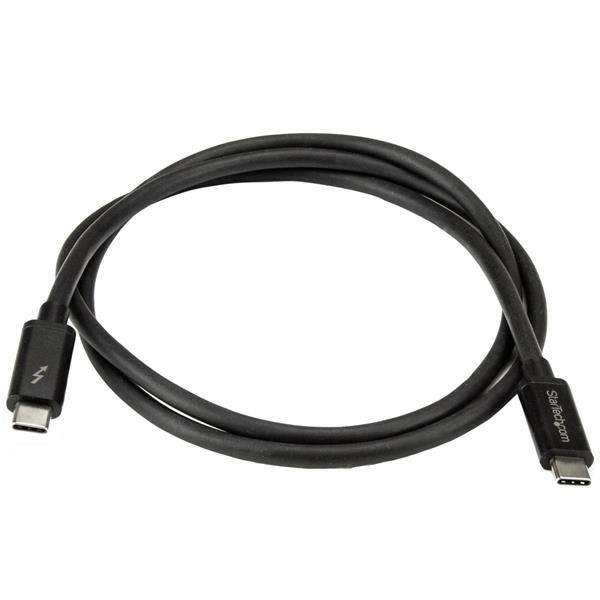 This Thunderbolt™ 3 (20Gbps) cable lets you connect to any Thunderbolt 3 port (USB-C™) to deliver video and data to your Thunderbolt, USB, and DisplayPort devices. Plus, the cable can provide power for charging your devices, and you can link up to six Thunderbolt 3 devices as part of a daisy-chained connection. 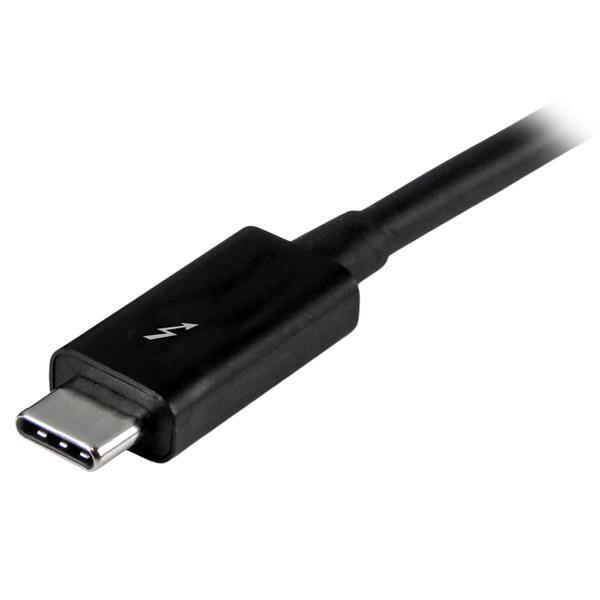 The Thunderbolt 3 cable is fully compatible with all of your USB 3.1 Gen 2 devices and can be used for charging and syncing your mobile devices. You can also connect and power USB-C laptops, such as your MacBook or Chromebook™, and USB-C peripherals, such as your portable hard drive and docking station. The cable gives you an easy way to bridge multiple Thunderbolt 3 enabled laptops for peer-to-peer 10GbE networking. It’s perfect for setting up small workgroups and sharing peripherals such as printers and storage. You can also connect two Thunderbolt 3 laptops together for PC migrations. The TBLT3MM1M is backed by a 2-year warranty. Use the Thunderbolt peripheral, port, and cable in another setup to see if the problem is with the components or the setup. Use a Thunderbolt peripheral, port, and cable in your setup to see if the problem persists. Ideally, you should test a component that you know works in another setup. If you are using Thunderbolt 1 or Thunderbolt 2 cables, make sure that the computer and peripheral are both Thunderbolt compliant. 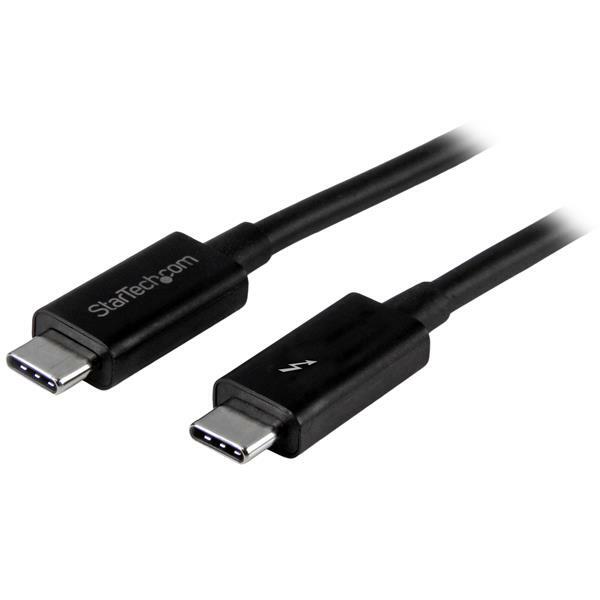 Thunderbolt 1 and Thunderbolt 2 use the same connector type as Mini DisplayPort. If the computer port is Mini DisplayPort, only DisplayPort devices will work. If you are using Thunderbolt 3 cables, make sure that the computer and peripheral are both Thunderbolt compliant. 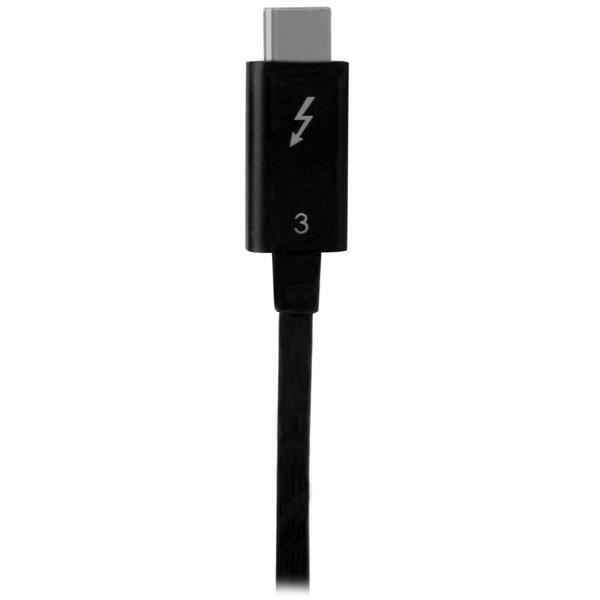 Thunderbolt 3 uses the same connector type as USB-C. If the computer port is USB-C, only USB devices will work. Install the latest drivers for the Thunderbolt peripheral available on the manufacturer's website. Install the latest drivers for the Thunderbolt port controller card.